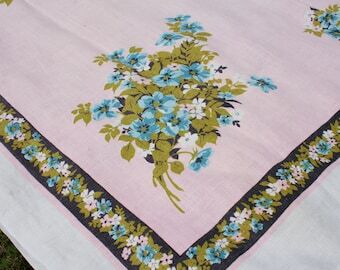 This is a great vintage fabric! It is a sturdy cotton. The background is printed in purple and it features white tropical leaves like ferns or palms. There are some small leaves in a darker shade of purple. I am not an expert, but this looks and feels like feed sack or flour sack fabric to me. There IS evidence of it being stitched, but it has been opened. Exact measurements are 36 inches wide by 44 inches (approx 1 1/4 yards). This fabric is in excellent as found condition with one exception. There are a couple of small tears along one selvedge. 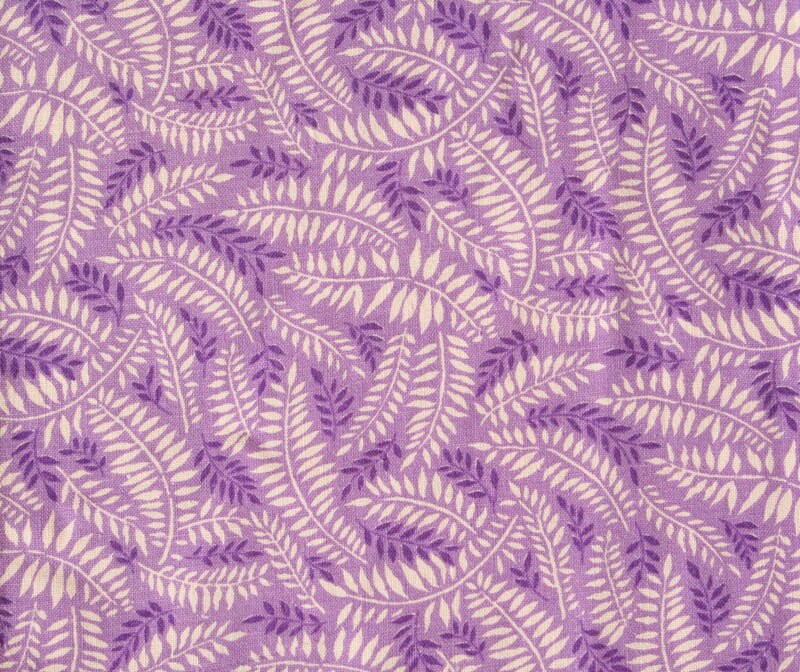 Just think of the adorable things you can make with this fabric! !